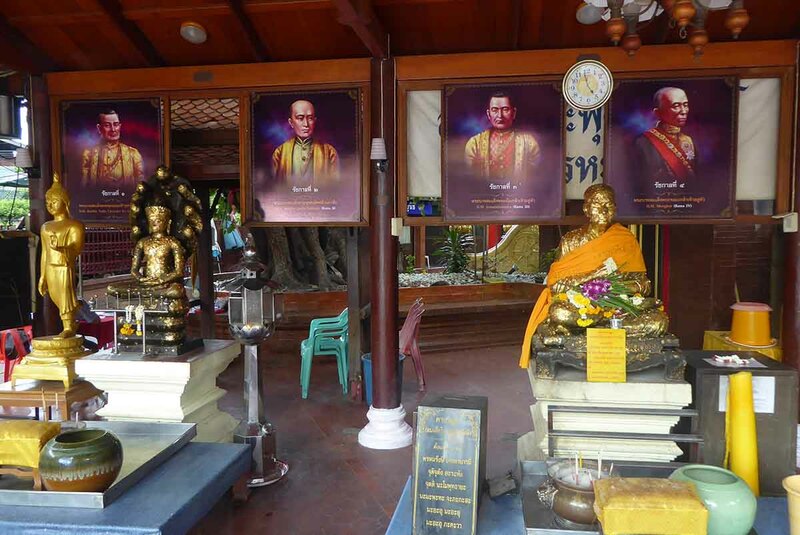 Wat Intharawihan is a very old temple pre-dating the founding of the city of Bangkok in 1782. 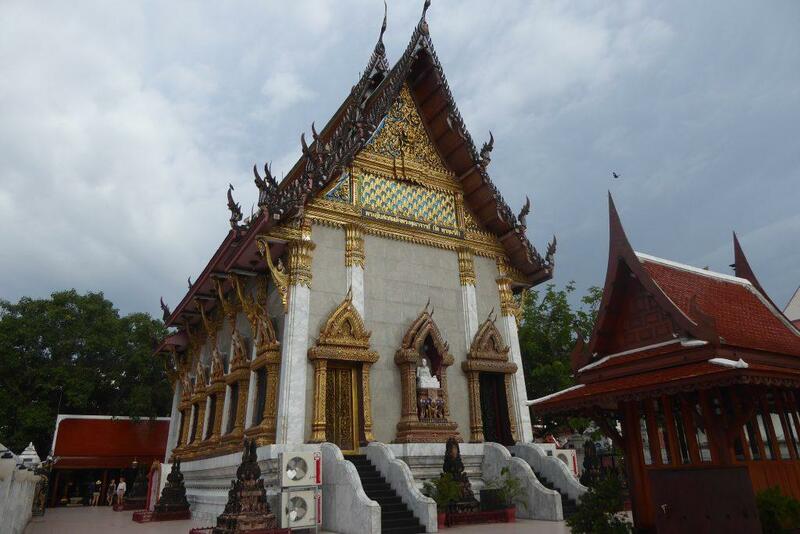 It was originally called Wat Rai Phrik until Rama I restored and renamed the temple as Wat Intharam. 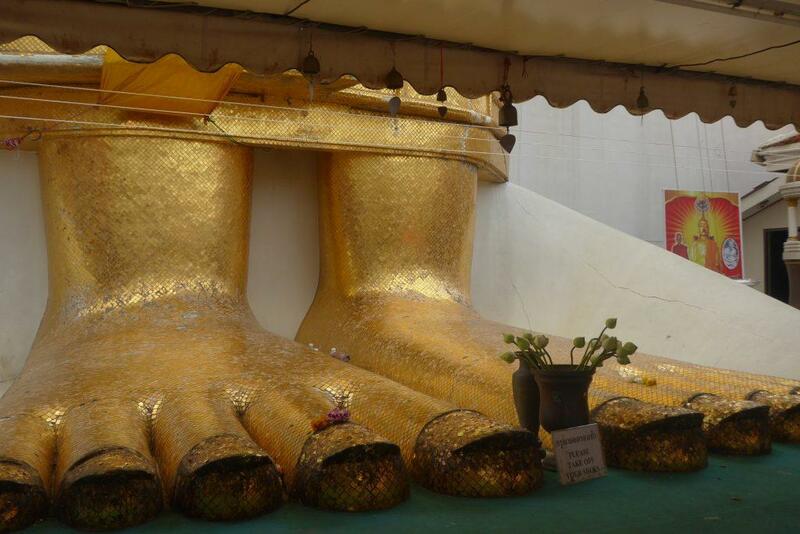 It is famous for its huge standing Buddha image called Luang Pho To. The image is 32 meters tall and 10 meters wide. The image is holding an alms bowl. The topknot of the Buddha image contains a Buddha relic from Sri Lanka. 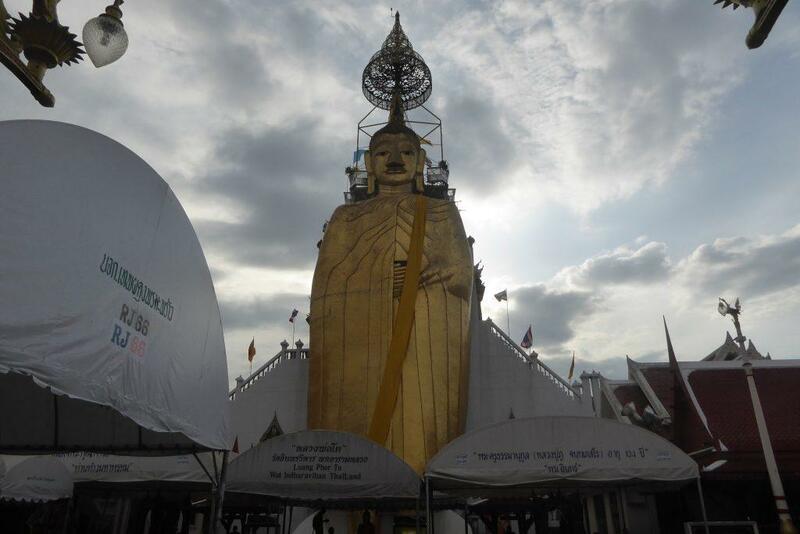 Construction of the Buddha took 60 years, starting in 1867 during the reign of King Rama IV and was completed in 1927 during the reign of Rama VI. 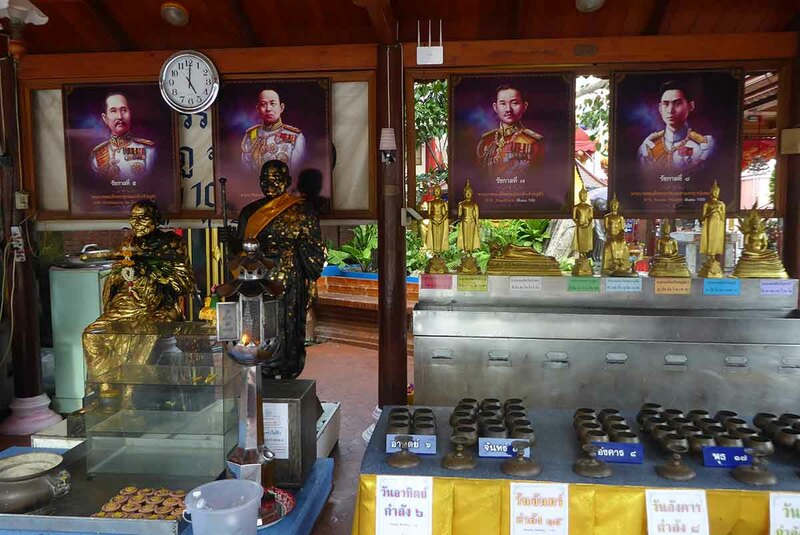 The temples name was later amended to Wat Intharawihan. The image was made from brick and plaster and later refurbished with Italian golden mosaic tiles gilded with 24-karat gold. During the mid-1960’s King Bhumibol, Queen Sirikit, and their children covered the forehead and topknot of the image with gold leaves. 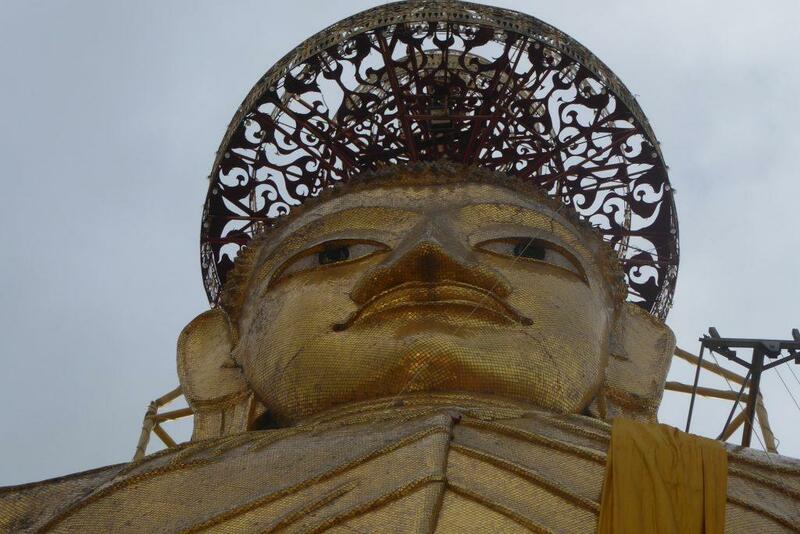 There is an entrance behind the image leading to a stairway that leads to the Buddha’s shoulder where you can see great views of the surrounding area though it is only rarely open to the public. 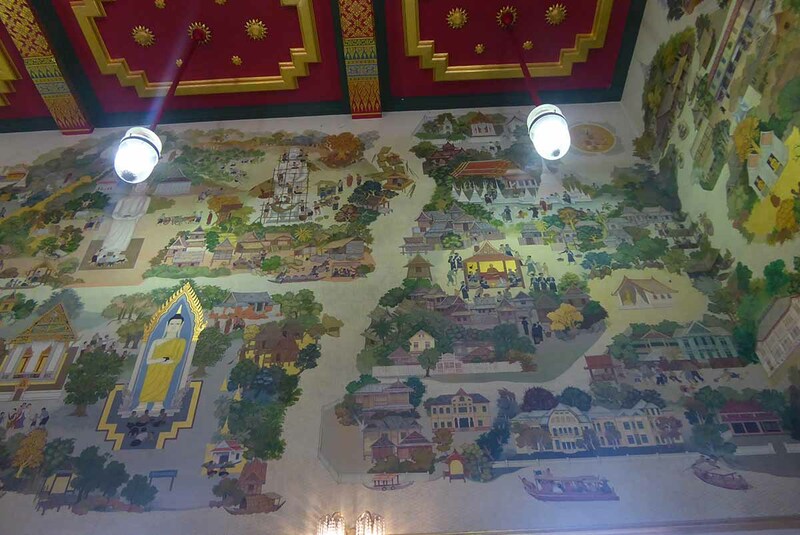 The temples ordination hall is partly built with Italian marble and the walls are decorated with murals on the theme of daily life in Siam. 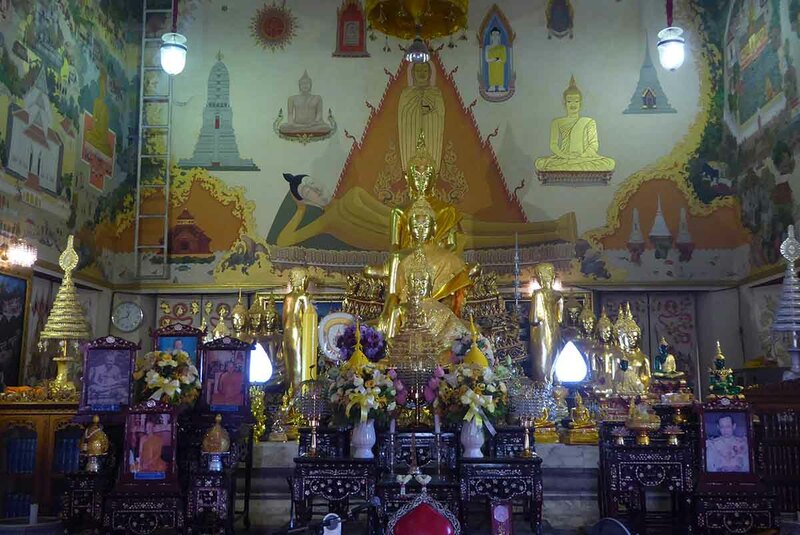 The Luang Pho To is very popular with local Buddhist’s who believe that the image has the power to bring success into their lives. Worshippers make offerings of mackerel, a boiled egg and a garland of flowers which they place at the feet of Luang Pho To along with incense sticks. The Big Buddha isn’t the only point of interest at the temple. 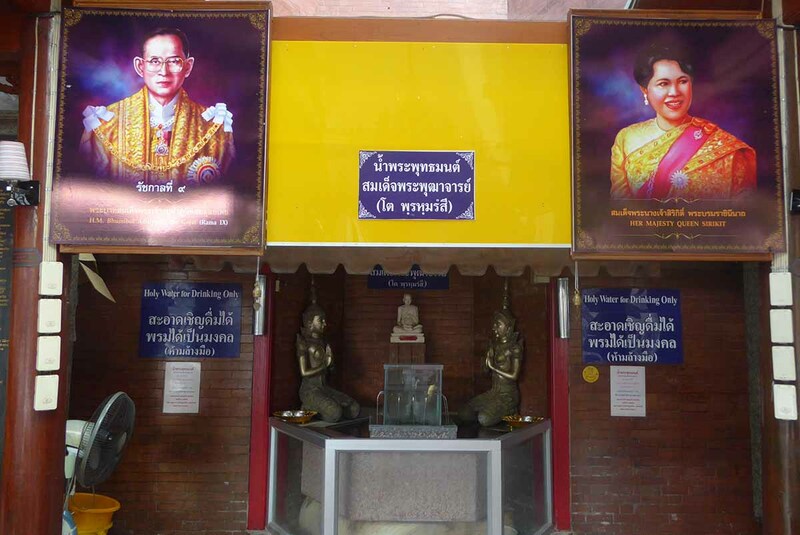 There are paintings of all the past Chakri dynasty Thai kings and of the current King and Queen above a well containing holy water that is said to aid good health and eliminate ill fortune. 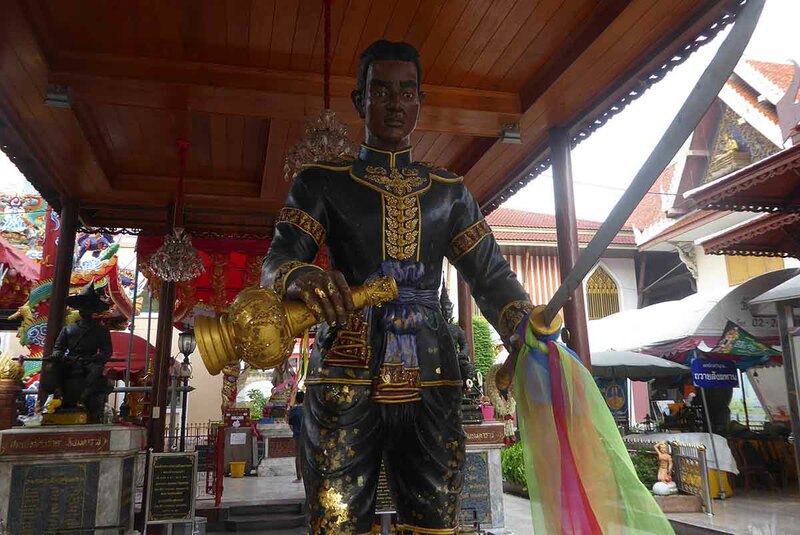 There are also statues of famous pre-Rattanakosin Thai Kings such as Naresuan and Taksin. 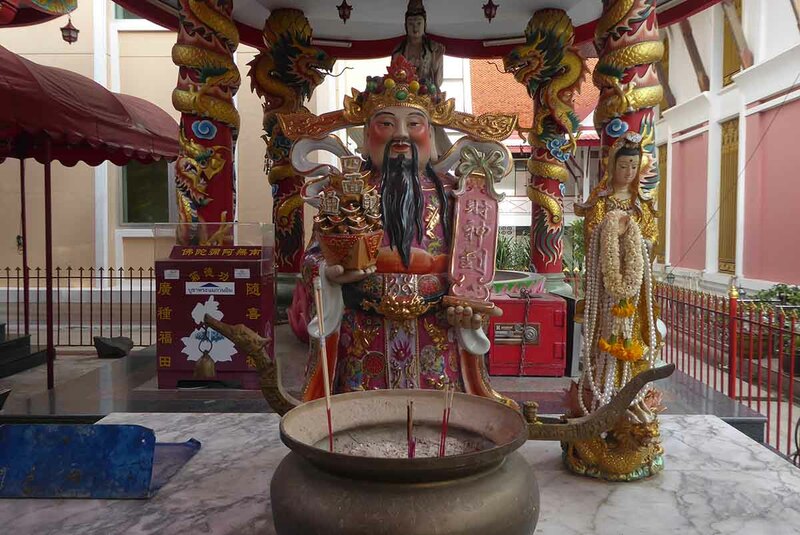 Behind these statues is a Chinese shrine to several Chinese deities such as Guan Yin. Bus: No. 3, 6, 9, 17, 30, 32, 33, 43, 49, 53, 64, 65.